Oh no! My dog ate my website! That is exactly what it feels like when you upgrade your WordPress site and your older plugins don’t exactly get along with the new software. When dealing with WordPress, it is not uncommon to run into a few bugs and hiccups. Sometimes you upgrade for security (like when a new version of WordPress is released). Or maybe the newer version of that plugin you love runs much faster or looks much sleeker than its crusty predecessor. Whatever reason you chose to modify your WordPress setup, it is imperative that you back everything up – just in case things go wrong (and they do). So – without ado – here are a few options that will help (and most likely save) you or your client’s website. XCloner is a Backup and Restore component designed for PHP/Mysql websites, and it works as a native plugin for WordPress. It was created to create and restore the clone on any other location with the help of the automatic Restore script they provide, independent from the main package! You provide the remote account; this plugin provides a connection to the offsite facility you choose. This Plugin requires PHP5 for all of its features! 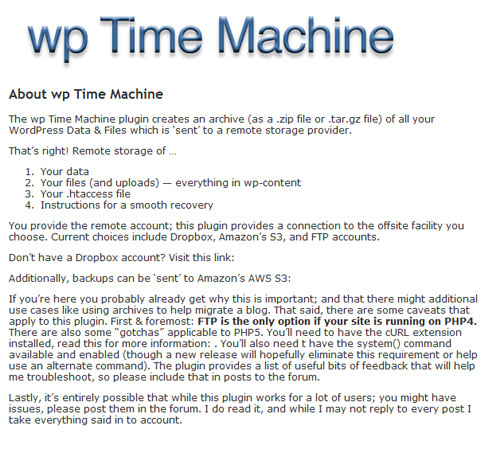 With PHP4, the only offsite service capable of working at this time is FTP. This is a really nifty plugin for a quick and easy backup of your database. Keep in mind, though, that if you need to restore your site, you will need your database AND files (typically stored in your wp-content folder). 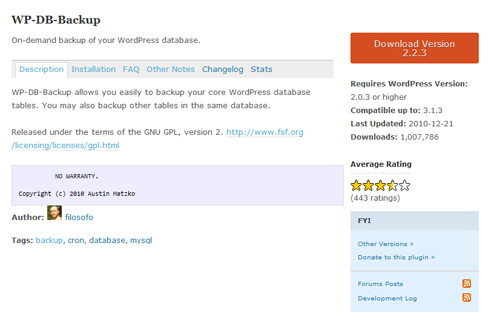 If you need help backing up your WordPress site, let us know – we’d love to help. And we’d love to hear how you’re backing up your site. What systems, plugins, or modules do you use?